Recently, Duck Tape invited 8 bloggers to join in the #duckworldcup sweepstake and I have been randomly allocation Group F which are Argentina, Bosnia and Herzegovina, Iran and Nigeria. 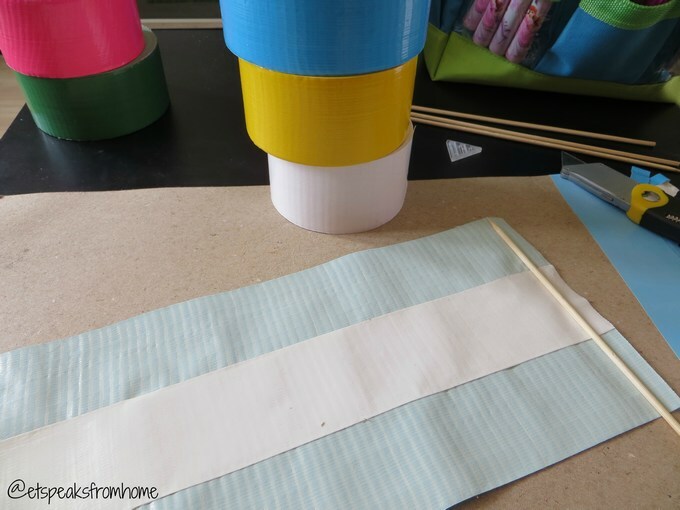 If my group win, I would win a collection of craft kits, including brand new colours and patterns of Duck Tape. I have received a range of Duck Tape to create flags, bunting, rattles, scarves etc. for my group. 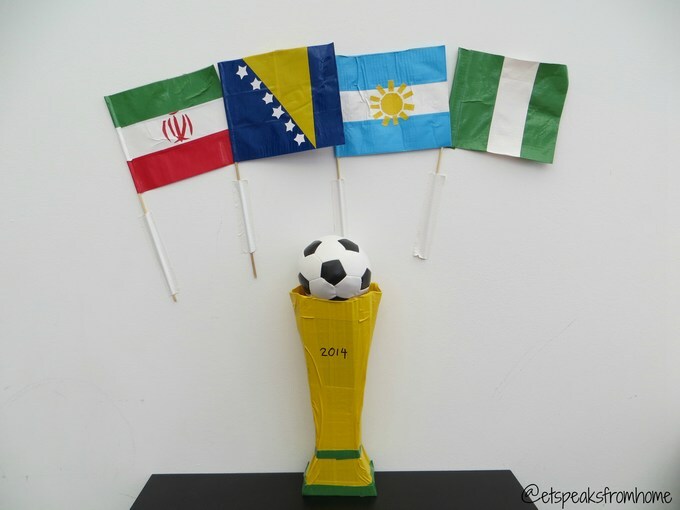 So today, I decided to make hand-held flags for the four countries and of course a World Cup 2014 Trophy. Argentina is now my new adopted team so I’m hoping they can win it! These are the #duckworldcup teams! @theplayroomblog @MamaMummyMum @dawnie_brown @hodgepodgecraft @cherry_o @Sweetcraftiness @ericahughes and me @etspeaksfrom. 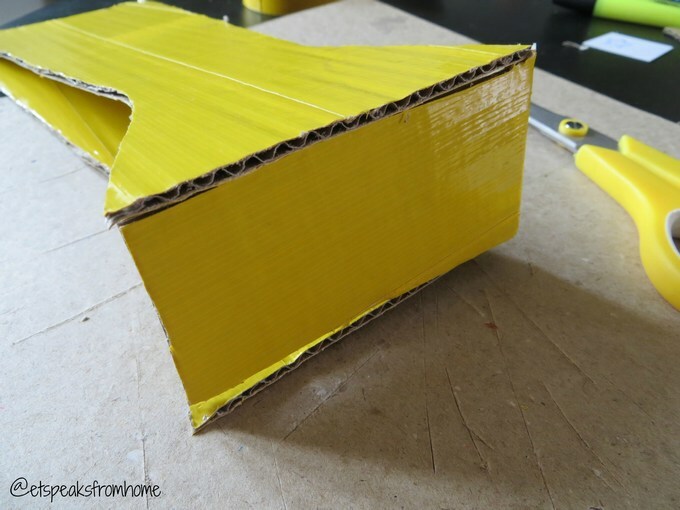 Do follow them to check out their latest Duck Tape creations! This is how we created the flags for each country. 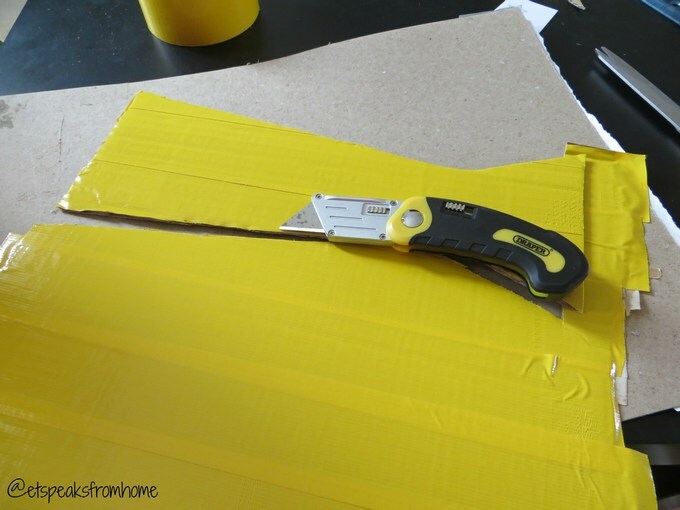 Cut strips of 32 cm of the Duck Tape. 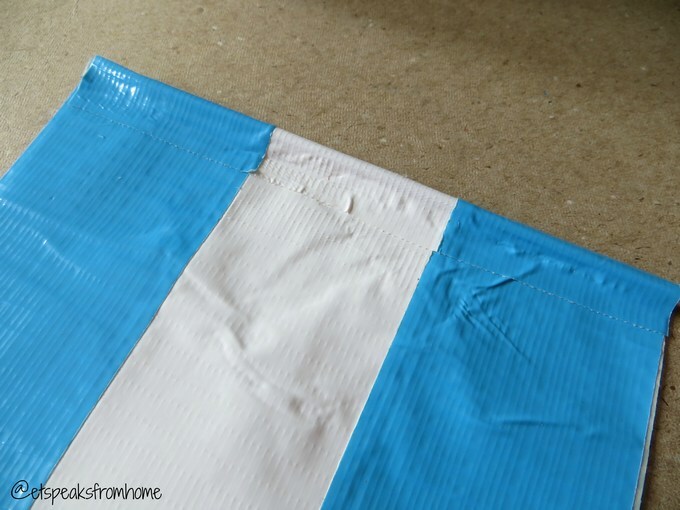 Place the stick at the corner and fold the Duck Tape in half as shown and leave 1 cm of the Duck Tape to overlap it. 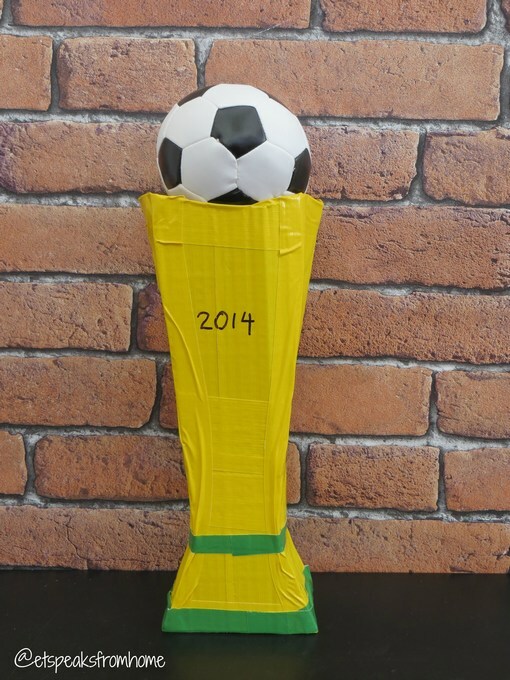 We also made a World Cup trophy. This is what you need. 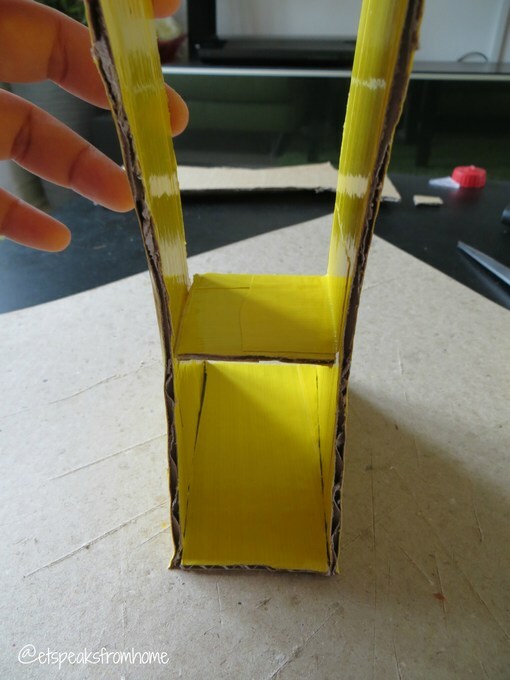 Use a cardboard of 10 cm x 7 cm as base and 5.5 cm x 5.5 cm in the middle as shown. 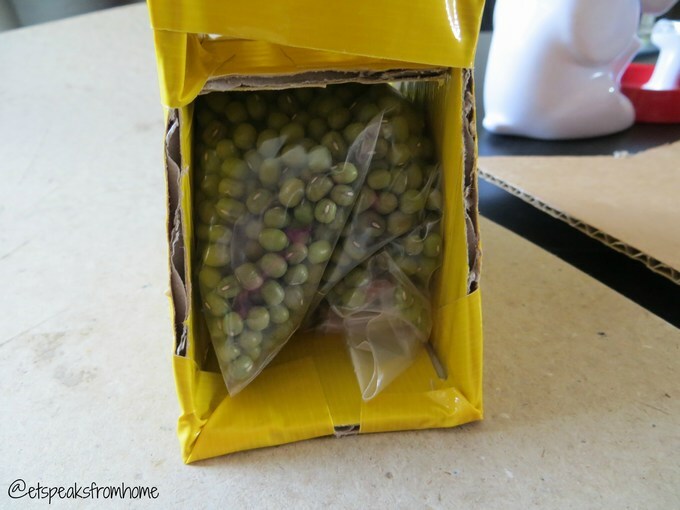 Place a bag of beans in between the cardboard. Seal the whole trophy with yellow Duck Tape leaving the top. Cut out the strip of green Duck Tape and stick it around the trophy as shown. Place the ball on top of the trophy. Hope you like what we have made here and fingers crossed that we can win this challenge! Also do check out what we had created for England fans – England parties ideas! Now look out for the Group F matches! Disclosure: We have received the products to do this challenge.